For the earliest of adopters, YouTube TV was priced at $35 per month. Then came a small price bump to $40 when YouTube TV added Turner network channels, including TNT, TBS, Cartoon Network, Turner Classic Movies, NBA TV and the MLB Network. When that price hike happened, as is often the case, original subscribers were grandfathered in to the original price. Unfortunately, that's not the case with YouTube TV's newest price hike. 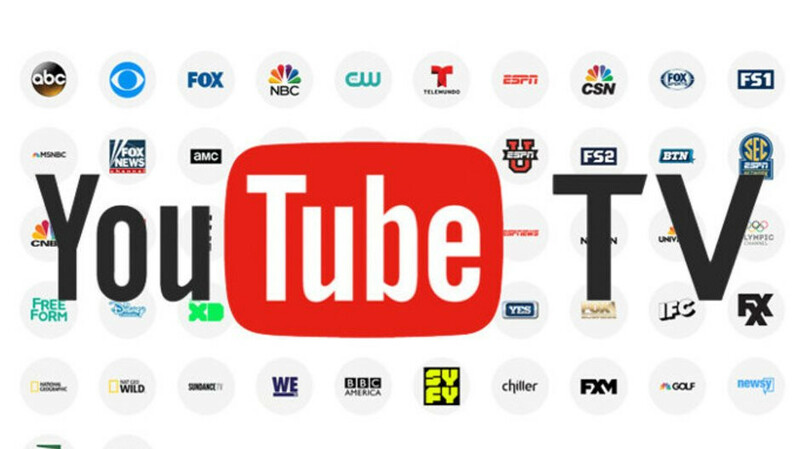 Google announced that YouTube TV will now cost $50 per month -- or $55 per month if you subscribe via an Apple device, in order to offset the Apple tax -- and that new price doesn't just apply to new customers but to all customers. New customers will have to pay the new price starting today, but existing subscribers won't see the bump until after May 13th. Of course, the price hike is coming with new content, this time from Discovery, including Discovery Channel, HGTV, Food Network, TLC, Investigation Discovery, Animal Planet, Travel Channel, and MotorTrend. Plus OWN: Oprah Winfrey Network will become available later this year. It's still a competitive deal considering the content made available, but a $10 or $15 change can be a lot, especially when the point of cord cutting is to save money. This turns me off to the service. Once it starts getting that high, I could just go back to DirecTV again. At $35, I was considering it. But, I've got Netflix and Crunchy Roll, which is more than enough content and costs under $20. Who's paying for this garbage just you TV tap. The 107 people who pay for this are going to be pissed. YouTube TV has a lot of commercials too! DirecTV Now has also been raised to $50. I'm going to cancel before my next (first $50) charge. Probably go to something like Philo. Price like that I could just get regular cable TV. I don't live with parents or sibling, I have a wife and a few kids. People I know have their own thing they watch. Besides, there is a limit on 2 streams at a time, which we would need both at times. What a bummer. I was really enjoying the early adopter price rate. At this point, I'd just rather subscribe to cable. $10 just to get discovery channels. People should be able to choose if they don't want the extra channels, they can keep the $40 price. I wouldn't want any of those channels and would be pissed to have to pay $10 extra. At this rate YouTube TV will cost more than cable soon. Someone needs to create a true ala carte option. And no, Sling isn't truly ala carte like they claim. I want to pick the exact channels I want, not these "tiers". the last price hike was worth it because they added some major channels. This new one added c-list channels at best and is a 25% bump. I was in love with the service at $40, but at $50 with no new networks that interest me (not for an extra $120 a year anyway) now I'm shopping around.